I’ve come to terms with the inevitable peaks and troughs of my blog activity. Still, right now feels apt for filling this space with words again, so let’s try for a peak or two, or even just a hillock. Maybe it’ll end up as a mountain range. Hey, look! I bought a domain! My blog URL is only somewhat ridiculous now, being 10 characters shorter. In fact, I bought two domains. The other is grapplepublishing.com and it’s ready to launch and loop around the planet like a satellite made of words and pictures and miscellaneous radness. Grapple Publishing is something that’s been in the planning stages for an eon longer than is sensible, so I’m super stoked to say we’re now taking submissions for our pilot project: The Grapple Annual. You should submit something. Meanwhile, Scissors Paper Pen has been doing a metric buttload (that’s 1.34 times bigger than an imperial buttload) of stuff, so I’ve been rather happily busy with that. 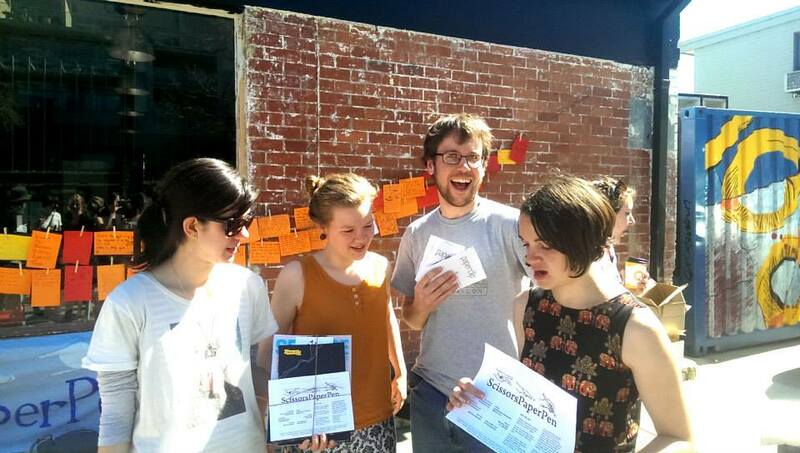 Check out our Program for the rest of the year and come along to something if you can. And look: I designed and edited my first zinethology / antholozine. It’s called Paperclip. Let me know if you want a copy and I will send you one. Other than that, I’ve been making some time (out of the thinnest of air) to write a few things here and there and some people even published some of them. 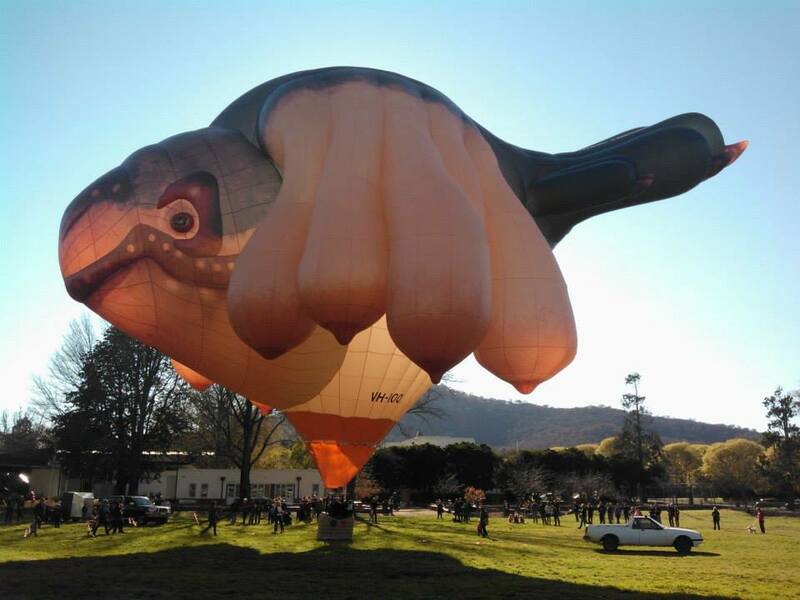 One thing I wrote was about The Skywhale, and then I met her twice and fell in love three times. Ain’t she a beauty? I took this at the oval behind Ainslie Arts Centre during Bloom Fest! What else since I last blogged? I took part in a great six-month course on short stories with Andy Kissane, completed a six-week radio training course at 2XX 98.3FM (listen our show, 3pm Saturdays! ), continued contently working part-time, went on a jaunt to South East Asia, attended my grandfather’s funeral and married the woman I love to bits and pieces. And then there’s everything else past and everything as yet unwritten, the grand and the mundane and everything in-between. And so: into the valley, spelunking through, then out into the light and onwards, ascending and climbing up the next slope, the next summit, ever onwards, stretchy metaphors and all.